Sickweather is the largest illness crowdsourcing community of its kind - processing over 6 million reports of illness each month! As featured on the Today Show and Good Morning America, Sickweather provides real-time alerts whenever you enter a 'sick zone'. Be alerted for Flu, Norovirus, Pink Eye, Whooping Cough, and 20 other illnesses, including parasites like Ticks and Head Lice! Sickweather has also been honored among "100 Brilliant Companies" by Entrepreneur Magazine, "Top 5 Sites Crowdsourcing for Your Health" by George Washington University School of Public Health & Health Services, and has been recognized for identifying the peak week of flu season 15 weeks before the Centers for Disease Control & Prevention (CDC). Sickweather uses a patent-pending process to track and map reports of illness from social media in addition to crowdsourcing directly from our user community. Our SickScore calculates the risk of contagious illness in your immediate area, meanwhile reports are represented on the maps by blue "SICK" markers -- tap them for more information of exactly when they were reported. Some viruses can survive on surfaces for up to 48 hours and can have a viral life cycle of 2 weeks, so we color-code more recent reports as RED within 1 day, ORANGE within 2 days, YELLOW within 1 week, and we include reports as old as 2 weeks in BLUE. With Sickweather Groups you can follow, report illnesses, and post messages directly to the locations that matter most to you, such as schools, workplaces, restaurants, hospitals and more! Unique to our APPLE WATCH app is a hand washing timer which runs for 20 seconds (as recommended by public health organizations) and uses Apple's Taptic Engine to let you know when you are done. And don't forget to check out our fun STICKERS for iMessage! Note: Continued use of GPS running in the background can dramatically decrease battery life. Sickweather can be used with or without these services running, but to receive our real-time Sick Zone alerts, location services must be turned on. You can discontinue GPS services by simply turning off our Alerts from within our app settings using the Master Switch. Sick Weather is a unique type of weather application that is designed to tell you the weather of an area as well as the reported sicknesses to give you an idea of the likely of catching something. The app is easy to use whether in telling you the reported health conditions of an area as well as an easy way to report conditions. The app goes even beyond in allowing you to connect with a doctor over video through a third party service in case you are in need of treatment. 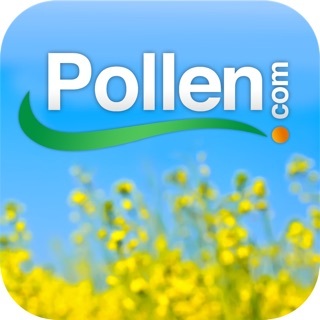 Sick weather is well worth a download, especially during times like these where flu season comes into play. Sickweather is a important tool to have on your person number one as s business owner knowing if there is truly sickness within your area! Employees call in sick a lot and I believe Sickweather is a great tool to see if other are reporting in sick, although am not sure if this tool is only used by the person who downloaded the software or are hospitals are using the reporting as well, if not they should have a hospital data base! Thank you ! As someone with several chronic diseases, & having to take 2 low dose shots of chemo each week for one of them, this app is so helpful. I only wish more people used it to get a more accurate read of illnesses in my community. This app could literally save the life of someone like me. Thank you for your important work as well as keeping it free.